Mucosal inflammation is a crucial factor for the recurrence of peptic ulcer. In this study, we examined the effect of rebamipide on neutrophils infiltration, lipid peroxidation, and antioxidative enzyme activities in the recurrence of experimental gastric ulcer. Ulcer recurrence was examined at 60, 100, and 140 days after production of acetic acid-induced gastric ulcers in rats. Gastric neutrophil infiltration, lipid peroxidation, and antioxidative enzyme activities were determined by analyses of myeloperoxidase (MPO) activity, thiobarbituric acid reactive substance (TBARS) levels, and glutathione peroxidase (GSHpx) and superoxide dismutase (SOD) activities in the ulcer region, respectively. The effect of rebamipide, an antigastric-ulcer agent, on ulcer recurrence was assessed following oral administration at 60 mg/kg/day from day 20. In the control and rebamipide groups, gastric ulcer indices were reduced on day 100 compared with day 60; however, increases were observed on day 140, indicating ulcer recurrence. In the rebamipide group, the ulcer index was smaller than in the control group at each time point and the effect was significant on day 140. Although marked elevation of MPO activities was observed in the control group during the experiment, no significant elevations were seen in the rebamipide group on days 100 and 140. TBARS levels were significantly elevated in the control group on day 140, but not in the rebamipide group. Rebamipide suppressed the decrease in GSHpx activity on day 60. 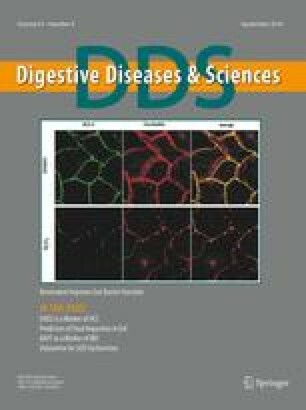 These results suggest that lipid peroxidation of gastric tissue mediated by free radicals from neutrophils is responsible for the recurrence of acetic acid-induced gastric ulcers in rats, and that the elimination of free radicals by rebamipide may contribute to the reduction of severity in ulcer recurrence.